Whether you have a princess or other young one who loves ALL things FROZEN, we can easily accommodate your needs with our interchangeable art panel themes! 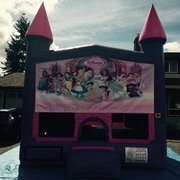 This Inflatable Princess Castle bouncer and slide will be fun for all your little princes and princesses. Add some bubble machines rentals to make your party even more fun for the kids. 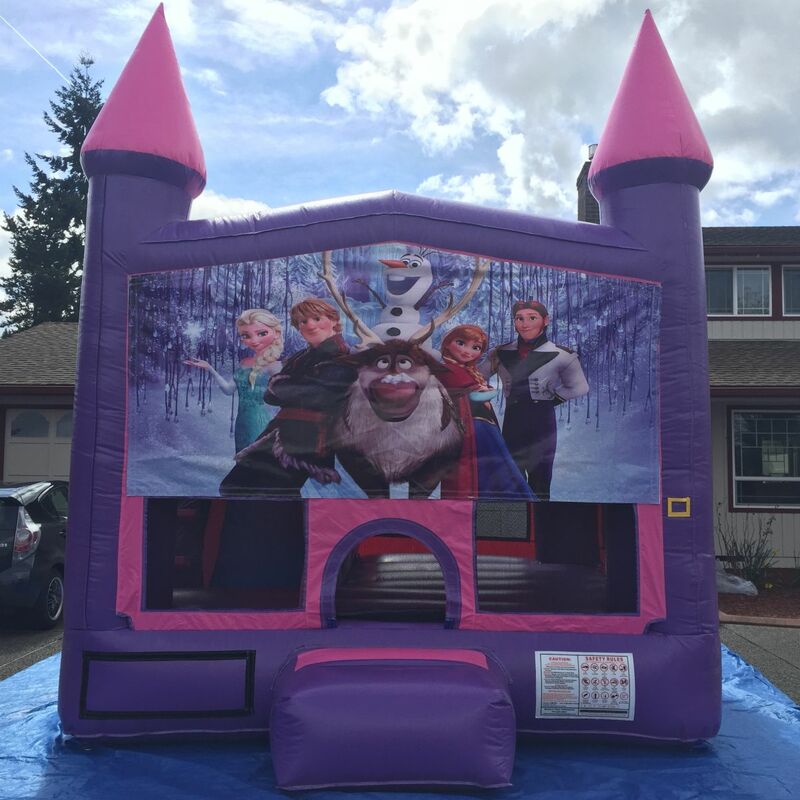 Whether you have a princess or other young one who loves ALL things FROZEN (R), we can easily accommodate your needs with our interchangeable themes! Fun for all, even the tomboys with climbing, jumping, obstacles, slide, and basketball hoop!